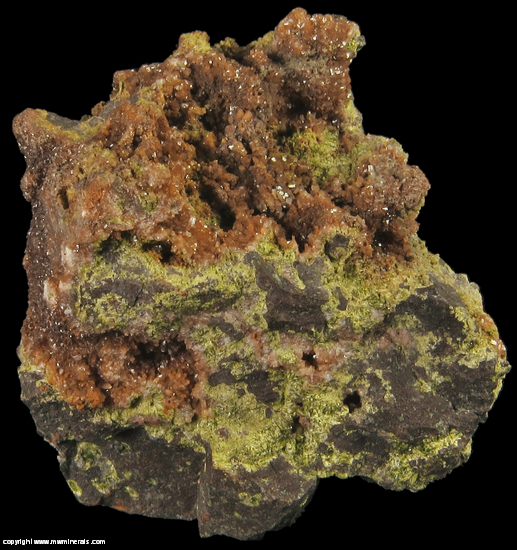 $25 Click here to order this mineral. 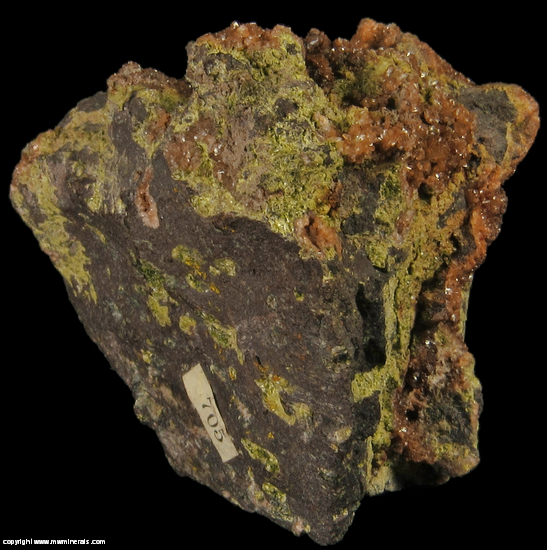 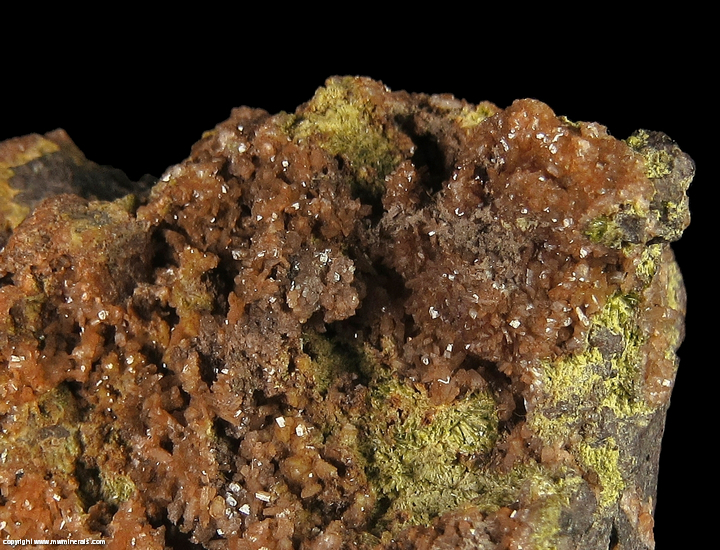 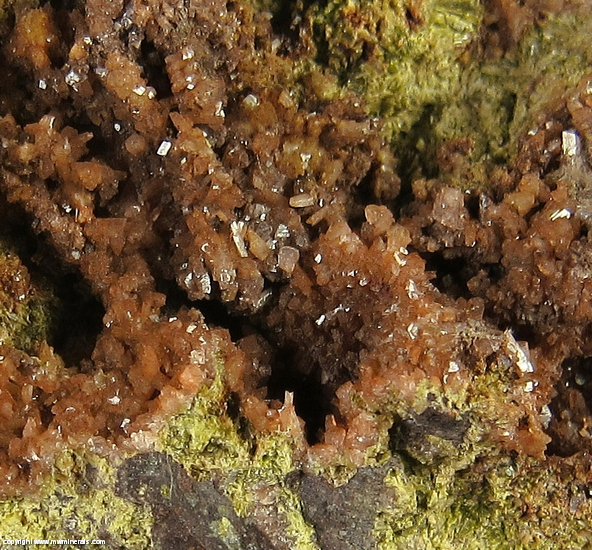 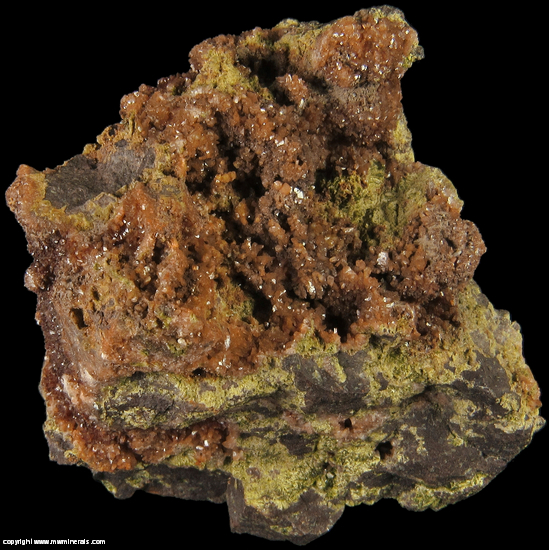 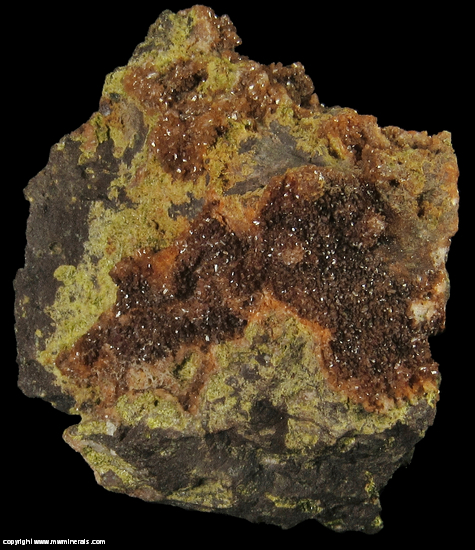 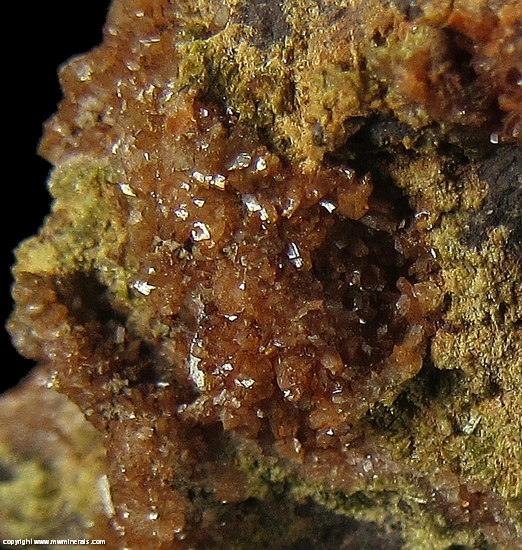 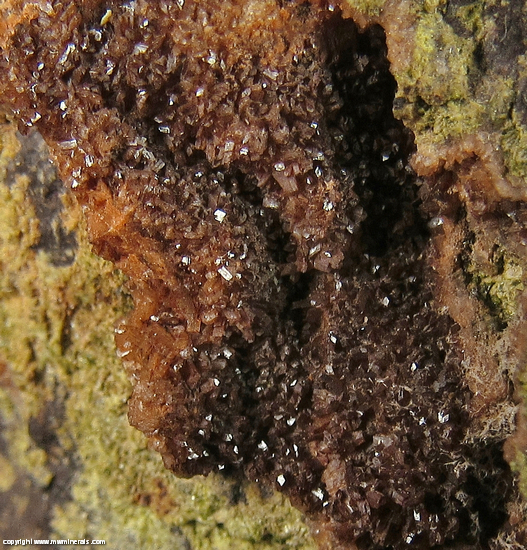 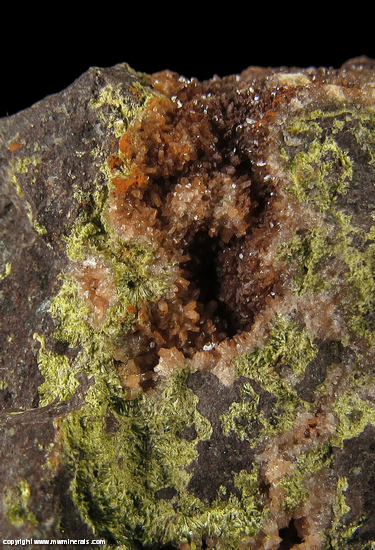 Much of this specimen is covered with a druze of sparkly, dark reddish/brown colored Adularia crystals which contrasts nicely with pistachio green colored Epidote on a basalt matrix. 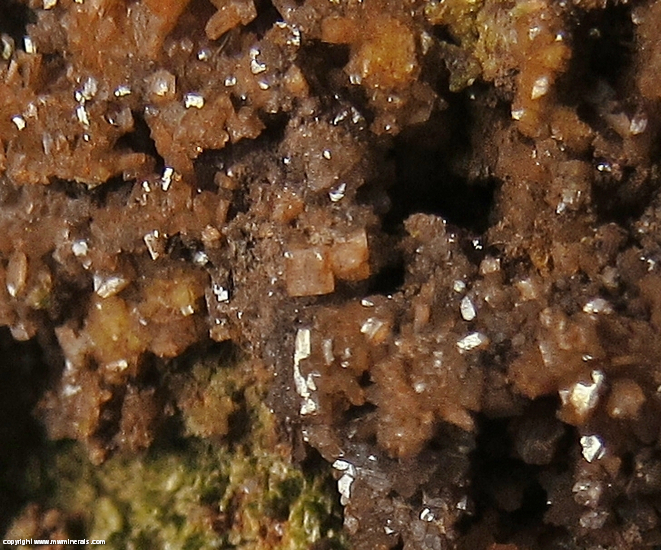 Flaws: There are some small, bruised areas.